The next recital from Friends of Music on October 18 will feature Four Hands Piano. Steinway Artists Carles Lama and Sofia Cabruja are one of Europe’s most renowned piano duos. Acclaimed by the public and critics alike for their spectacular synchronization, mutual understanding, brilliant technique, quality of sound and infinite passion and elegance, they regularly perform in recitals for four hands in all the capitals of the world. 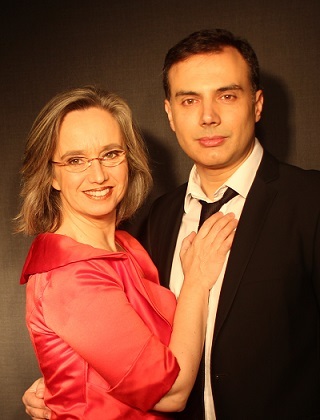 Their repertoire from Bach to 21st century music and includes all major works for piano for four hands. La Maja y el Rusisenor - Los Requiebros. The Prelude Performers for the evening are from the UKZN Opera School (OSCA) - Amanda Kosi. (soprano) and Njabulo Ntobela (lyric baritone) – who have both studied under the direction of Lionel Mkhwanazi. They will perform Sois immobile from Guillaume Tell by Rossini; Signore ascolta from Turandot by Puccini and Lippen Schweigen from Lehar’s The Merry Widow.